Marc Zander, global media director for Mars Chocolate, has joined video advertising marketplace, Teads, as its global vice-president of client partnerships. In this newly-created role, Zander will lead the company’s efforts to work more closely with advertisers. The aim is to help the company's clients meet their business objectives by maximising their investments in video advertising. Zander joins with 25 years' experience in the advertising industry. He spent the last five years at Mars Chocolate and, prior to that, he held key roles at global companies such as Kimberly-Clark, Nestlé and Swatch. Bertrand Quesada, chief executive of Teads, said: "Marc's knowledge of global clients and agencies will be invaluable in helping us accelerate the growth of outstream video." Outstream video is external video content that is streamed in, often programmatically, to a native ad format—such as a video within the body of the article. It is a method invented by Teads and that Zander believes holds "tremendous opportunities" for clients to "better meet objectives and drive real growth from media." 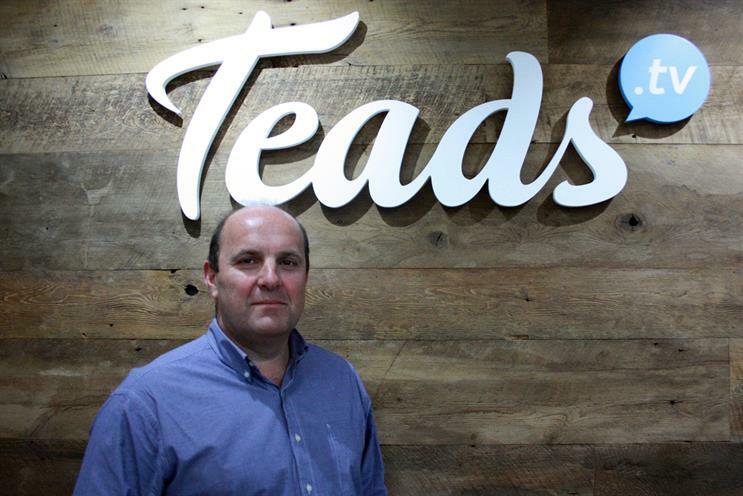 Teads currently has a team of more than 500 employees across 27 offices in 21 countries. Zander told last year's Media360 conference that there are three areas in which media agencies need to excel in order to succeed: measurement, collaboration with creative agencies, and ecommerce. He said: "Brands are moving from a place where we tell our stories to a place where we build stories, and we have a tremendous opportunity within that. "We need to get media at the heart of our comms process and develop a creative toolkit to reach opportunities. The agencies that succeed will be the ones that are able to operate much better with creative agencies." A Mars Chocolate spokeswoman told Campaign that the company is not directly replacing Zander in his role. Instead, Mike Davies has taken on overall responsibility for UK media in addition to his role as bars segment director. Davies reports to Michele Oliver, vice-president marketing for Mars Chocolate UK.